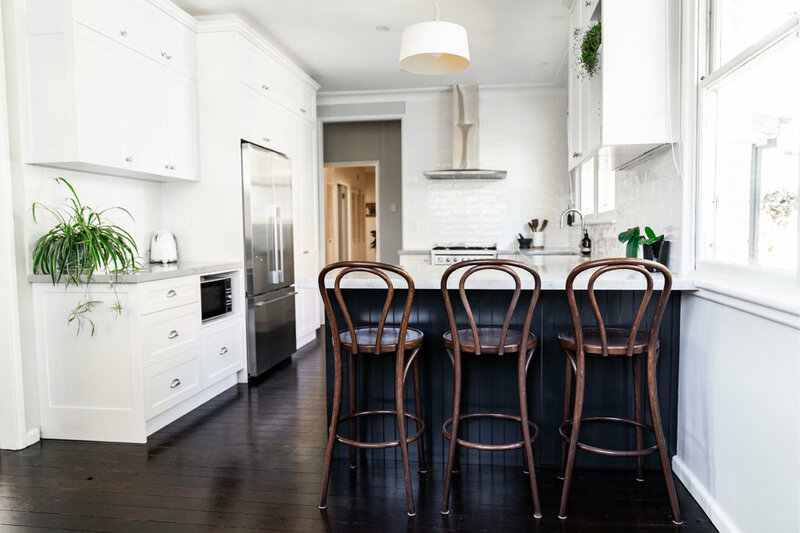 With bistro style bar stools that connect with the dark wood scheme throughout the home, this kitchen redesign was about creating a welcoming space for everyday use. Abundant light sources envelop this kitchen and provide a perfect refreshing ambiance. Chrome handles connect with the scheme of the appliances further enhancing the cool feel while still connecting with the warmth of the wooden tones. Stand out features include the custom bookshelf, open cabinetry above the bar and well as a causal seating space for two.